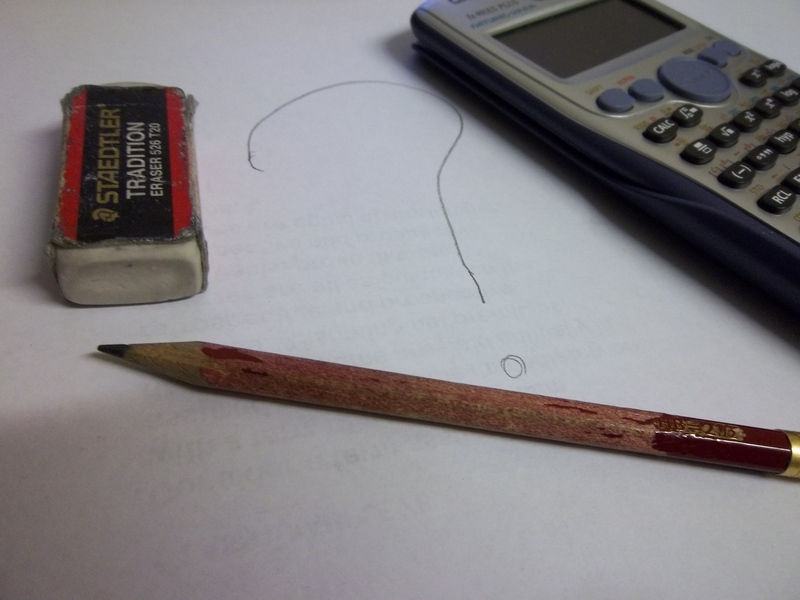 What do job-application aptitude tests actually measure? What do aptitude tests measure? How important is it to be able to do mental calculations? That’s in your head. I know that there are people that can work out crazy things like 12373 in their heads, but I am not one of those people. Why do companies still ask for candidates to perform mental calculations in job interviews or assessments? I am a mathematician (that is, I have a masters degree in mathematics) and non-mathematicians often expect that I should be able to add up or divide the bill when we are in a restaurant. Then I need to explain that, actually, mathematics is not about numbers (I hardly ever see actual concrete numbers) and that I was probably going to make a mistake. I get fluttered and nervous when I have to do mental arithmetic, particularly if other people are waiting for the answer. (I find dividing be three, or any other odd number, especially hard). The more real maths I have done, the more I have lost my ability to do calculations in my head. I consider concepts far more important. We have calculators and computers for a reason. I like to leave the calculations to those devices. I have a distinct bias in expressing the above opinion, exactly because I am not good at mental calculations. I want to justify my inability to do such seemingly simple things. I want to prove that it is not important, that my other skills are far more valuable, that spending my time improving my mental calculation skills would be wasteful. Does it matter that my mental arithmetic is poor? Will I ever find myself in a (non-contrived) situation where it is actually important? I was recently asked to do a simple calculation at a job interview and I could not get the right answer at first (in fact, I was so obviously wrong, that my interviewers may have doubted my credentials). Embarrassed, I got the correct answer later, when my mind had calmed down. I failed a McKinsey entrance test which relied on being able to make mental approximations to a number of arithmetic problems in a very limited amount of time. Even though I understood most of the concepts involved, I could not perform these mental calculations at the required speed. I could have practiced such calculations for a month or two (or more) beforehand and (probably) have passed, but why? Hypothetically, some client might ask what the profit would be if x and y had certain values, but if the answer were important it would need to be arrived it far more elaborately and placed in some important document. In any case, I don’t particularly mind not having quick answers to such questions. I’d rather give you a thoroughly considered answer. To me, mental calculations are a party-trick. It’s worthless unless you understand why you’re making the calculations and for any “important” work you’re going to be dealing with excel or computer models or in any case. I would rather spend my time improving my understanding of the concepts and how to use the computers that will do the number-crunching for me. In an age where computing power is cheap, but creativity paramount, this seems the right strategy. Let’s not meet. I’ll email you instead. I am definitely a candidate for a “work-from-home” job. I find that actually having to meet with people is inefficient, for several reasons. I prefer to send emails when I can. Emails are their own archiving system. I don’t have to try to remember or write down what someone was saying. I have a bad memory and a terrible short-hand. Also, writing something down means the other person needs to stop talking. I cannot listen and write simultaneously. Also, I am naturally disorganised – pieces of paper get misplaced. No need to find a single time slot in which you are all available. Everyone can answer and send emails at their convenience. I like to send emails when I am busy thinking about whatever it is I need to correspond about. Then I can write down what I need to say and send it off so the other person can read it whenever. No need to think in real time. Emails beat verbal communication because whatever you want to say can be reviewed and edited. You can take time to formulate questions and responses rather than having to go uhmm and ah and “I’ll have to think about that”. If you’re like me then you get tongue-tied when you have to think and talk at the same time. If you’re talking to your boss nervousness does not help. No embarrassments. I am far less likely to sound stupid in an email than in person. This is because of the things mentioned in the point above. No time wasted in travel. If you have to travel to a meeting, this is wasteful. Also, it takes up energy (physical energy), and emits carbon (unless you’re biking). And if you don’t have to go in to work at all, just think of all the time and energy you are saving. No need for irrelevancies. There are the mandatory salutations and greetings (the formality of which varies), but in general less time is spent on “how are you?” and the like and you can get straight to the point. No need to wait around somewhere when the person you’re meeting is late. I even email people who are in the same room as I am because then I don’t need to go up to them and interrupt whatever it is they’re busy doing (or what I’m doing). In fact, I like it when people are not in the same room because then I have to send them an email. I admit it, I am an introvert. I avoid people. You might think that there are things you cannot put in an email. Maybe so. But there are some innovative solutions to common problems. You might think putting maths in an email is overly time-consuming or just impossible. Not so, if you know Latex, which you must if you’re studying mathematics. I picked up the habit of typing Latex for all the maths in my emails from my maths professors. We send e-mails riddled with latex code which can easily be compiled and viewed (there are some nifty online gadgets for this – for instance here) – if needed. Most of the time the latex is perfectly understandable without compilation. I admit sending around Latex in your emails is something only a maths student will do. But it works. And I like it. I also admit that there are a number of disadvantages to e-mail correspondence. People may reply late or not at all. Some (especially very emotional) things are harder to put into textual form. Tone is (mostly) lost. Nevertheless, for work-related things, I prefer email. For personal interaction, usually face to face is better. So, if you want to contact me, leave a comment, or send me an email.